Article about Steve Dimitry’s Softball History Site written by Bill Plummer III, former Amateur Softball Association (ASA) Hall of Fame Manager and announced his RETIREMENT back in May of 2009 and after a heartwarming ceremony at the General Council Meeting in November of that same year, his retirement was official as of December 31, 2009. Bill Plummer III ended his tenure with 30 years of service. 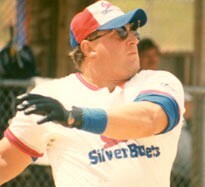 He was inducted into the National ASA Hall of Fame in 1999. Bill started out as the Director of Public and Media Relations and worked in that capacity until 1996, when he became a man of many titles; his tenure ended with Bill serving as the Hall of Fame Manager, which often included him being at the ASA Hall of Fame Banquet reading the introductions and announcing the greats of the past to be inducted into the National ASA Hall of Fame now and forever. He was the editor of the ASA news letter called “Inside Pitch”. 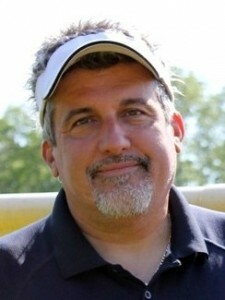 He also wrote many articles and also providing information on National Tournament Standings and the All American selections for each one to the ASA’s “Balls and Strikes” Publication. 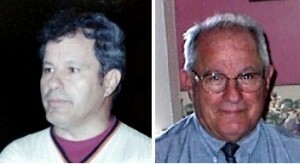 He was the official Softball Historian, spending many hours researching information and data to make all the ASA archives as accurate as any there is. He was a renowned author, writing many fantastic books on Softball. Bill was also the ASA Trade Show Manager, procuring many Softball companies, Manufactures and ASA Associations bidding for National Tournament berths to attend this trade show held during the week of the ASA general Council Meetings. If you have ever been to one of these, you know it was a big job as anybody and everybody having anything to do with Softball, especially equipment and attire are there. Bill Plummer has also done so much more for this game. You can read about some of the important events in softball history that Bill was involved with. Click on this Link to see what all he did in addition to his ASA job and also the many Hall of Fames and other Honors that has been bestowed upon him. 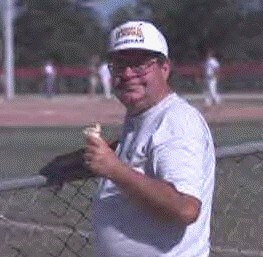 This goes without saying, he is the greatest softball historian of all time. Many times and I know this from experience, someone will email or call him and ask about some person or event that happened decades ago, and no matter how large or small the task, Bill would find the information for that person. He has written some books on the great history of this game. The first one is the “Softball’s Hall of Famers” book and it chronicles the history of the ASA National Softball of Fame in Oklahoma City and has a bio on all the inductees. He actually did a couple revisions of that one. The second book is called “The Game America Plays: Celebrating 75 years of the Amateur Softball Association“, Bill worked on this book for a long time and it commemorates the ASA’s 75th Anniversary through historical photographs and personal stories. Relive the greatest moments in softball history with this engaging narrative of America’s favorite participation sport. With never-before-published photographs and vignettes from players, umpires, and coaches, this is a must-read for every player, coach and fan of softball. 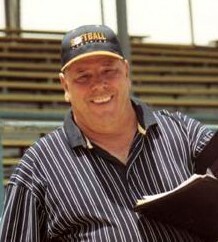 Bill was most deservingly inducted into the ASA Hall of Fame in 1999. Another book he wrote, titled “Women’s Fast Pitch Softball, The Best of the Best“, about the legends of Women’s Fast Pitch Softball was widely acclaimed. He also has co-authored a couple of other books; “Series of Their Own: The History of the Women’s College Softball World Series” and “Softball’s Lefty Legend – Ty Stofflett, the fastest pitcher in America”. Don’t forget to click on the links in this section about Bill Plummer. They explain in detail what this man has done. 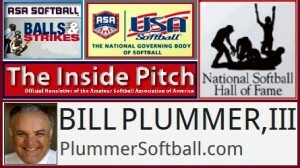 Dale Weiser (DW) of Softball Central did an interview on Bill Plummer, it is very informative and candid, I think you will enjoy it. This man knows more about Softball History than any man alive in the United States today. He is a good and kind man and I am honored to call him a friend. He has taken the time to help me many times over with information on this site and I want to take the time to thank him for all he’s done for me. 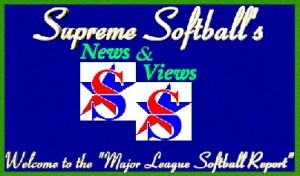 Click on the Banner below and visit Bill’s Web Site called Plummer Softball. Order one of these books, I guarantee you will not be disappointed. Check out the official Softball Magazine Web Site. This is the BEST and most informative Softball magazine in the country today. They have stories and statistics on many of the nation’s invitational and national tournaments. Click on the link provided to read about this great publication from Gene Smith and Luann Madison. I used to write a monthly article for these nice people and it was called “Softfacts”. Check out the amazing Web Site of Dale Weiser or “DW” as he is called on the National scene. The Softball Center Web Site is the site to go see tournament reports and tons of photos on the Major Softball Circuit. Dale covers just about every single Major or Class-A Tournament in the country. DW is a great guy and writes for various sources. Check out Mike Macenko’s House of Swing. This man is just the greatest softball player that ever lived and has been inducted in all four Softball Association’s Hall of Fames (ASA, USSSA, NSA and ISA). He is a true living legend in the sport and gives a lot of his time to making the game better. The site is loaded with great information about the past and present. Complete with articles and photos spanning at least four decades. Inspiration for this page was instilled to me at a young age when I was growing up in Long Island and a man I greatly admire played with and against some of these legends of the game. The sparkle that comes to his eyes to this day as he reminisces about those days only go to show what this great game of softball is all about. Thank you Mister D or as I call him, Dad. He will be 82 years old this July, God Bless him. I also want to say thanks to my family for their support also.